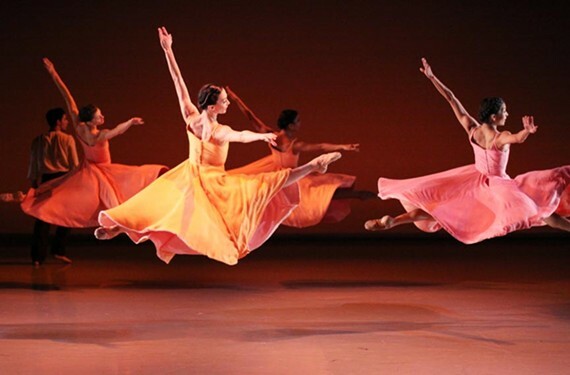 Richmond Ballet in Ma Cong's "Ershter Vals," one of the pieces the company plans to perform while in China. If you had to send a delegation to a foreign country to represent your home state, which would you choose? Your standard-issue, suited-up political type? Or a graceful, charming ballerina or danseur? We thought so. Luckily, the right choice already has been made for Virginia. Fresh from a recent tour to London, the Richmond Ballet is poised to head to China in 2015, as announced recently by Gov. Terry McAuliffe. The company has accepted an invitation to perform at the 15th annual Meet in Beijing Arts Festival next May. It is sure to turn heads and provide a welcome diversion from trade agreements and border disputes. Thanks to the ballet for cultural diplomacy!